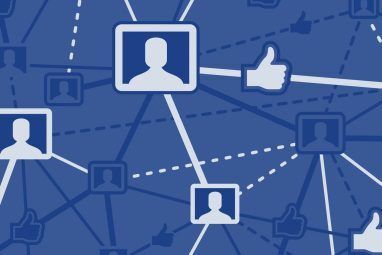 You might think you know everything there is to know about Facebook, especially if you’re a social media addict How To Beat An Addiction to Facebook How To Beat An Addiction to Facebook Facebook addiction is a very real thing. Here are some tips that will help you beat it. Read More . Well, you’re probably wrong. 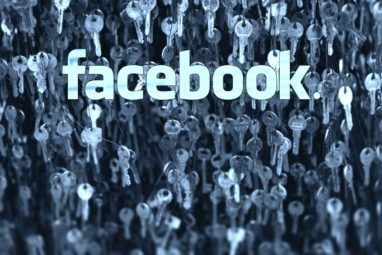 Facebook is packed with hidden tricks 13 Awesome Facebook Tricks You Probably Don't Use 13 Awesome Facebook Tricks You Probably Don't Use Here are a bunch of Facebook tricks and tools that most people forget are available to them. Check you know all of these, then tell us your favorite tricks in the comments. Read More , some of which you really should make use of. 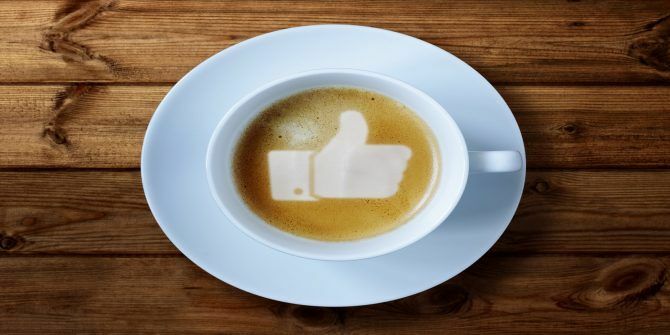 In this article, we’re going to take a brief look at 10 of the best hidden Facebook tricks. You might know about some of them, but we bet you don’t know all of them! If you want to send a document to a friend, but you don’t have their email address, Facebook Messenger is a perfect alternative. You can send any file from your computer just by clicking the Add Files icon when you’re writing a message in your browser. The maximum file size is 25 MB, the same as Gmail and most other email providers 6 Most Popular Email Providers Better Than Gmail and Yahoo Mail 6 Most Popular Email Providers Better Than Gmail and Yahoo Mail Each free email provider listed here offers different benefits and all of these email services are popular choices. Read More . If you file is larger, consider using other tools How to Transfer or Send Files Without Uploading to the Cloud or a File Host How to Transfer or Send Files Without Uploading to the Cloud or a File Host Sending files to someone else (or to another one of your devices) usually requires uploading to a file host, which can be slow and painful. Here's a method that lets you transfer directly. Read More . 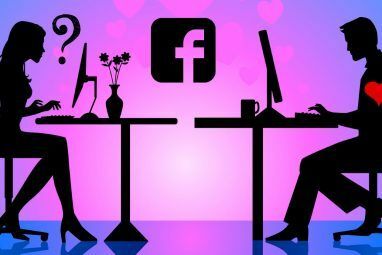 If you’ve listed yourself as “In a Relationship” on the network, you can see your entire (Facebook-based) romantic history with your partner by visiting www.facebook.com/us. It will show you all the photos, comments, videos, and other content that you’ve both been a part of. You can actually hack the URL to show the history of any two people. Type https://www.facebook.com/friendship/[username 1]/[username 2] in the address box, replacing the two usernames as appropriate. The Save feature has been around for a few years. It lets you keep content on file so you can enjoy it again at a later date. It’s particularly useful for saving content off your news feed, which tends to disappear quickly. But did you know you can also save non-Facebook content? The feature was announced in 2016 and is the network’s attempt at replicating Pocket. It’s up to individual sites to enable the feature; you won’t see it web-wide just yet. Facebook offers message forwarding, allowing you to easily share any part of a conversation in Messenger. It’s only available on the mobile app. The process is simple. With the desired conversation open, long-press on the message in question, then select Forward. You can send the message to any of your friends, and can even add your own comments. This is an old’un but a good’un. It’s been around since the start of Facebook more than a decade ago. It’s not entirely clear why Facebook’s developers created the Easter Egg, but it’s still there. In short, if you go to Settings > Language > Which language do you want to use Facebook in you can choose the words of the “high seas.” Oh, you can also choose English (Upside Down). It’s not as fun as it sounds. We’ve covered the pirate language in our guide to Facebook hack codes The 6 Best Facebook Hacks to Show Off Your Geeky Skills The 6 Best Facebook Hacks to Show Off Your Geeky Skills There are some helpful Facebook hacks that most users won't know about. If you use them, they can show off your geeky skills. Read More . Are you thinking about giving up Facebook and quitting the social networking game Go Anonymous: How to Delete Your Entire Social Media Presence Go Anonymous: How to Delete Your Entire Social Media Presence From traditional avenues to new tools, here's an in-depth look at how to delete your social media presence. Read More altogether? Or perhaps you’re worried Facebook is going to go the same way as Myspace and you’ll lose all your data? Whatever the reason, you might want to grab a copy of your Facebook data for posterity. To do so, navigate to Settings > General > Download a copy of your Facebook data. It will give you a copy of all your posts, photos and videos, messages and chat conversations, all the info from the About section of your profile, the ads you have clicked on, Likes, friend requests, and more. Ever wondered what your profile looks like to the public eye or even a particular person? The View As feature allows you to check. Everyone should use this feature occasionally. You might end up changing a couple of things that you didn’t realize were visible to the public eye. Who else remembers the time when the Facebook News Feed used to be a fun place to hang out? You could stay abreast of what those nearest and dearest to you were doing without needing to call each other every day. Sadly, these days, it’s a cesspit of fake news, unfunny memes, and attention seekers. But don’t worry. You can delete your News Feed altogether Folks, It's Time to Delete the Facebook News Feed Folks, It's Time to Delete the Facebook News Feed It's time to get rid of your News Feed. It's more a distraction than anything else. Here's how (and why) you can delete it. Read More . Or for something less drastic, curate it to your liking. Just click the three dots next to News Feed in the left-hand panel of your homepage and select Edit Preferences. We’re all going to die someday. When you do, your Facebook page will become a memorial to your life. However, if your Facebook page is a homage to your sins, it might not be the most pleasant memorial in the world. Aunt Betty doesn’t need to know about your more raucous behavior. To save your family the heartache, why not nominate a legacy contact? They’ll be able to clean your page up a bit. To set one up, go to Settings > General > Manage account > Your legacy contact. No one actually remembers all their friends’ birthdays. In fact, acting as a glorified birthday card list is possibly Facebook’s best feature. But there’s an issue. You need to remember to look on Facebook. Luckily, if you use the Google suite of apps, your life just got easier. You can import your Facebook calendar into Google calendar. Go to your Events page on Facebook then open Calendar in the left-hand panel. In the bottom right of the page, right-click on either Upcoming Events or Birthdays and select Copy Link Address from the context menu. Finally, in Google Calendar, copy the URL into the Add Calendar box. Your Favorite Hidden Facebook Tricks? So, there you have it. 10 cool Facebook tricks, many of which you might not have known about. Of course, given how multi-faceted Facebook is, there are lots more cool tips and tricks out there. Now we want you to add to our list. Which cool tricks have you recently discovered? Which ones do you use every day? As always, you can leave all your thoughts and tips in the comments below. And remember to share this article with other Facebook users!